April 6, 2010 - Every once in a while, a reader writes me a letter demanding that I must choose. "You can be a Cuban or an American. Not both," one of them wrote last week. "It is long time past for you to pick a country." The fact that I call myself a Cuban-American is offensive to some people. Luckily, I'm not alone, because they are offended by all hyphenated Americans. These are the people who want us all to jump into the American "melting pot" and lose all our ethnic identities, our native languages and even all memories of our past. They tell you delusional stories about how their European ancestors stopped speaking foreign languages, learned English instantly, cut all ties with their relatives back in their motherlands, and became isolationist Americans the moment they stepped ashore on Ellis Island. Their ability to distort the history of this "nation of immigrants" is impressive. Many of them are the same people who are obsessed with combating illegal immigration. They tell you that what they want is legal immigration, but then they show you they have problems with all immigrants who are not willing to dissolve into their melting pot. Just because they have lost all ties to their own ethnic roots, they come off as if they were purebred Americans calling for ethnic cleansing. They refuse to acknowledge that from the time of the Continental Congress, when certain documents were translated into German and French, the United States has been multilingual or that most of our Founding Fathers encouraged teaching French, Spanish and German in our schools or that they were opposed to government telling people what language to use. The United States never has been a melting pot. We always have been a salad bowl in which every ethnic group retains its own flavor. What makes us great is that we have been able to create the richest and most diverse salad bowl in the world. Yet some of my readers refuse to acknowledge that their ancestors published newspapers, put up storefront signs and even got some ballots and other government documents printed in various foreign languages. Yet nowadays, store signs in Spanish, the first European language spoken here, are a source of controversy. Some people don't believe that immigrant businesses — or those appealing to immigrant customers — should have the freedom (or the constitutional protection) to advertise their goods in the language of their choice. They are willing to look the other way when old immigrant communities cling to their cultures, apparently closing their eyes when they drive through our Chinatowns and Little Italys, but they hold new immigrants to a different standard. Curiously, no one seems to be offended when Italian-Americans celebrate Columbus Day or Irish-Americans march in St. Patrick's Day parades. But when we Latinos and other new immigrants try to preserve our cultures and languages, when we proudly wave our homelands' flags in ethnic parades and festivals, we are unjustly accused of being un-American. 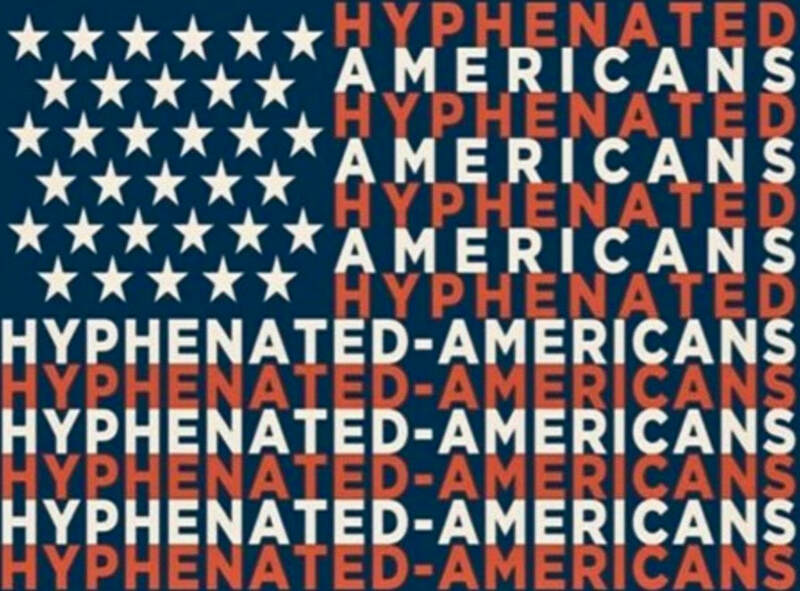 In fact, that's the only kind of hyphenated American some of my readers recognize. They love to accuse people of being "un-American." Amazingly, many of the letters from my strongest critics have little to say about the particular topic I may be discussing in a column. Last week's column, for example, was about dissidents in Cuba, but because I made a reference to Cuban-Americans, I got a lecture about hyphenated Americans. "My Scottish, Irish, German and Hungarian ancestors came to this country to be Americans," wrote the reader who ordered me to choose between my Cuban and American nationalities. "I will not hyphenate them all together and demean their efforts to start a new life here." Yet if you go to Google and search for "Scottish-Americans," "Irish-Americans," "German-Americans" or "Hungarian-Americans," you are likely to find proud histories of hyphenated American communities that never denied their ethnic pride when they started new lives here. As for my being a Cuban-American, I'm sorry to disappoint my not-so-well-intended readers, but because I'm very proud of both of my nationalities, I'm sticking with both. You are what your life makes you, and you certainly don't deny any part of it to ease the xenophobia of a few bigots. I was born in Havana in 1950, and I came to the United States as a refugee at the age of 11 in 1962. My life has shown me the ruthlessness of a right-wing dictatorship, the repression of a communist regime and the privilege of immigrating to the greatest country in the world. It has shown me the struggles of U.S. immigrants and the economic, social and even violent discrimination suffered by minorities. This country has given me the freedom to express myself as a journalist. And whether anyone likes it or not, my opinions are formed by my own life experiences as a Cuban-American. Published at Creators.com - Hyphenated and Proud! - on April 6, 2010.